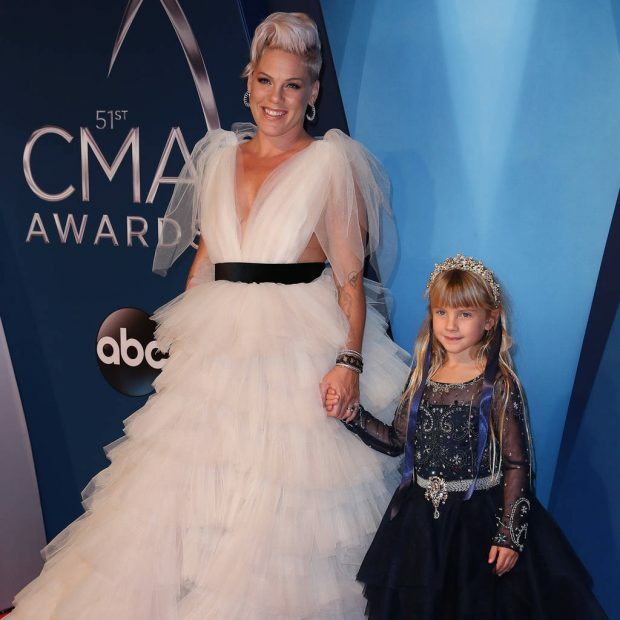 Pink’s six-year-old daughter Willow did her bit for charity and set up a candy stall while her famous mum was busy rehearsing for her upcoming tour. Pink is gearing up to hit the road, with her Beautiful Trauma World Tour kicking off on 01 March in Phoenix, Arizona. The singer has been joined by her husband Carey Hart and their children, Willow and 13-month-old Jameson, while she puts the finishing touches to her show, though her eldest child decided to do some work of her own on Thursday. The post comes after President Donald Trump’s administration decided to terminate the temporary protective status enjoyed by thousands of immigrants from Haiti and El Salvador. While most people flocked to praise Willow, some of Carey’s followers took offence at the political dig. Pink and Carey are both vocal about their dislike for the U.S. leader, with the What About Us singer causing a stir last year when she tweeted that he was doing a terrible job at running America.